Feature: The Montecristo Especial has an intense taste, slightly bitter, a lot dry, a lilted hot and with a light bottom of over-sweetness. The shot of this cuban cigars is good. Excellent combustion is characteristic in the Especial also. It has an intense scent with over-sweet notes and dry earthy resemblances that makes it one of the specialties of the Montecristo cuban cigars just like its name. Comment: Just like mentioned before, the Montecristo Especial could be considered as a specialty among all Montecristo cuban cigars. 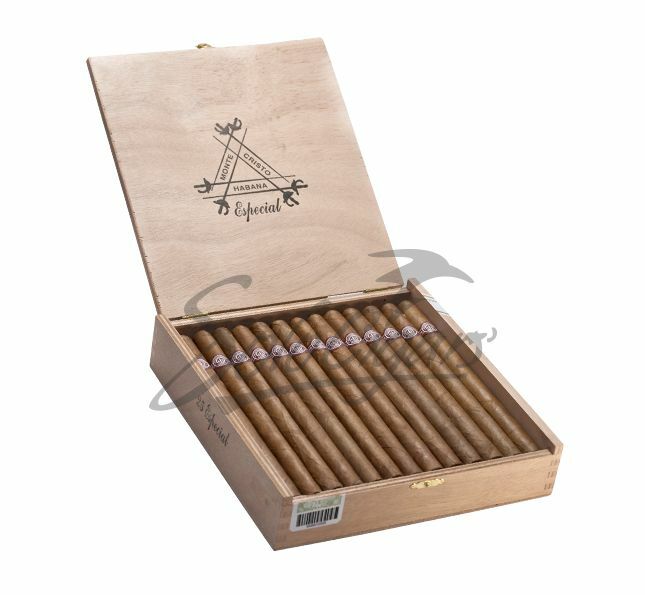 Due to its features it is a Havana Cigar difficult to smoke; just for cuban cigars experts.